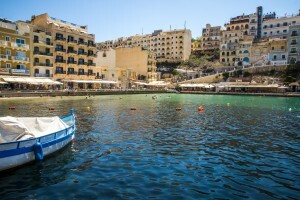 Xlendi Bay in summer - a must visit for tourists & locals! Three kilometers away from Gozo’s capital Victoria, one can find another Gozitan gem: Xlendi Bay. Easily reached by car from the villages of Fontana and Munxar, Xlendi Bay used to be a fishing village with a small harbour giving shelter for some boats owned by the locals. A statue of Saint Andrew, the patron saint of fishermen is still present. Xlendi Bay is a small charming sandy beach with cliffs on the side and a valley coming from the back. Xlendi valley gathers almost all the rain falling on the villages of Kercem, Munxar and Fontana with the result that it has wiped away a huge amount of the sand throughout the years. But still, it has not lost any of its popularity. On the sides of the bay one can find an amount of interesting caves with the most known ones are St’Catherine’s Cave and Carolina’s Cave. 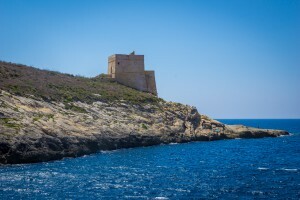 The ‘Xlendi Tower’ is a landmark which can be seen from here as well. It was built in 1658 and was of great importance since it was the only tower in the southwest of Gozo. 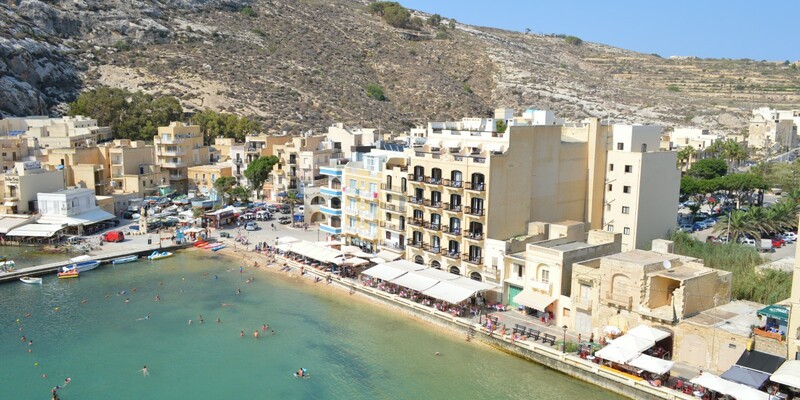 In the last years, Xlendi has developed into a tourist attraction. 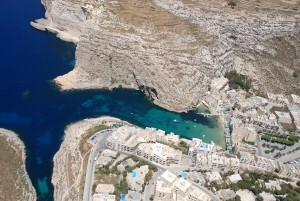 Like Dwejra and Ramla Bay, Xlendi is considered one of Gozo’s major resorts. It is adequate for all age group; shallow waters perfect for young children and if you want to be more adventurous, you can also swim off the rocks beneath the ‘Xlendi tower’. It is also a great place to snorkel along the stretch of rocks on the side of the bay. The magnificent rock formation and the various caves makes Xlendi Bay a distinguished site for diving. Lots of good restaurants, cafeterias and bars found in Xlendi would make a great night out in Gozo. Clike here for an aerial view of this Gozitan summer attraction. Should you like to visit Gozo and its places in the near future, take a look at our offers & packages, and we will be happy to accomodate you.